Eco Diesel Solutions Canada provided and installed this Wattsun AZ220 solar tracker with the combined efforts and help from Troy, George and Keld Jensen for a local neighbour and good friend (Tom). Tom was seeking maximum solar energy harvest from a small area in his back yard for his OutBack battery based grid tie inverter system we also provided. This Wattsun AZ220 tracker mounts 12 of the REC 220 watt modules ( for a 2,640 watt array) and has faithfully followed the sun from sun rise to sunset every day since last December when we installed it. 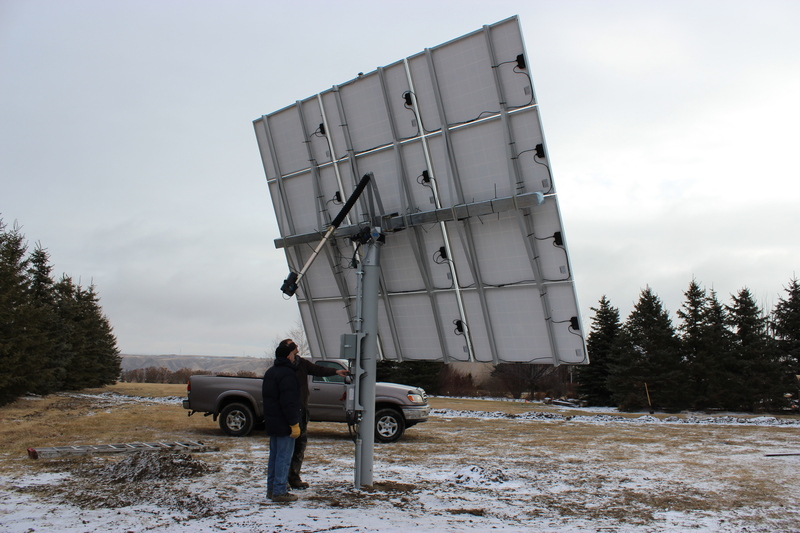 This tracker is installed in a high wind area of southern Alberta, but is sheltered on both the north and west side by a tree belt. I would not recommend this type of set up to be installed in an area without some wind protection as this is a large array to have on a single post and high winds can lead to premature failure of drive motors. My neighbour Tom has mentioned several times how he is very pleased with his solar tracker. He thinks it's just great how it follows the sun or even sets it's self flat to take advantage of light off a cloud covered sky. 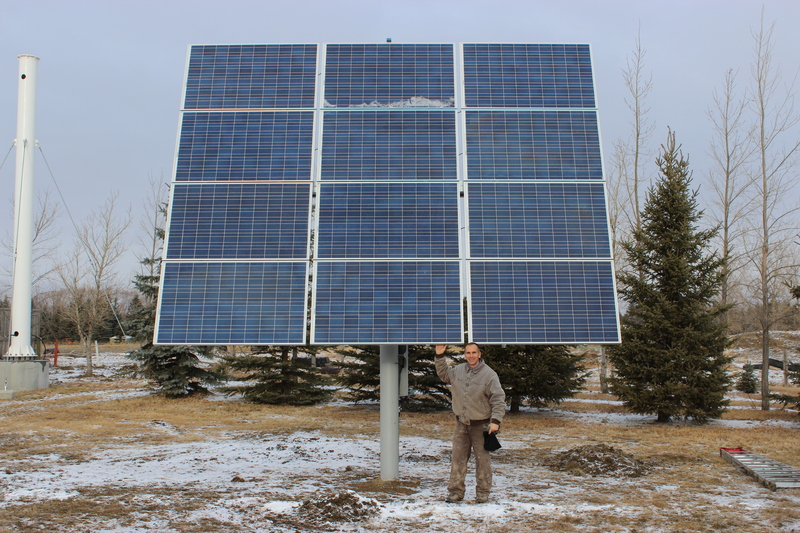 Toms Wattsun tracker is just one of the many cool solar mounting systems available from Eco Diesel Solutions Canada.